When buying tickets at Hong Kong Airport Express (a train connecting the airport to the city) customers enjoy a free Toy Story toiletry gift bag along with a customized towel. A toiletry bag is a great promotion at the exit of a plane, though on most long hauls there is already an amenity kit of some sort. Nevertheless, it is rare for railway companies to give out Gifts with Purchase of tickets so this will be a very pleasant surprise for international visitors. More comments and analysis on this promotional campaign. A Spare bag very useful to travelers on arriving to a new country. 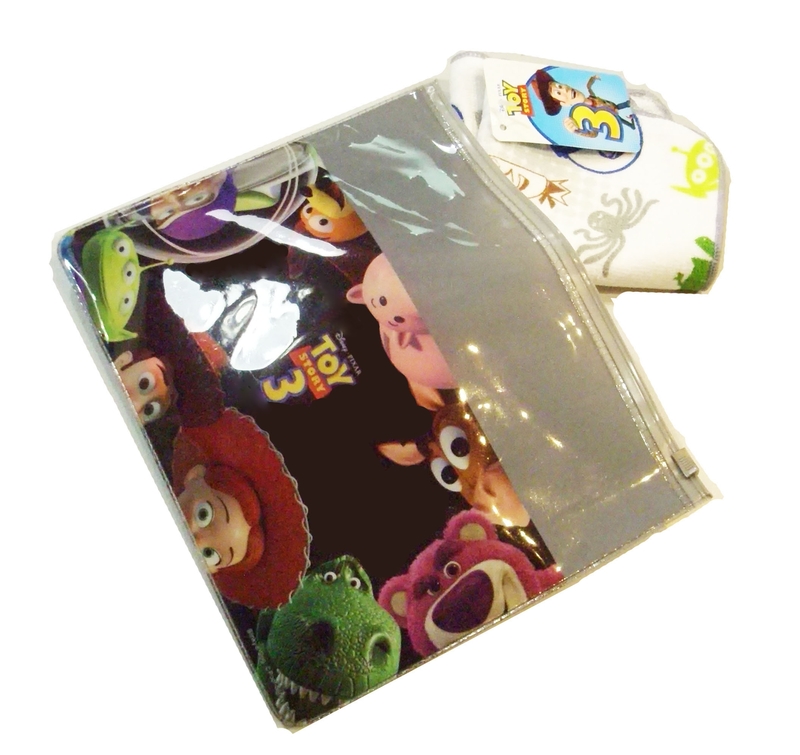 Can be used for liquids / storing travel documents / toiletries etc..
Customizable bags like these with licensed characters have high perceived value. This is one of the first impressions tourists will have of Hong Kong so very effective promotional products mechanism. Tourists are a good target for promotional events, as they have time and are open to discovering new things. You can add other promotional items inside the case (toothbrush, towels) and hence create a sense of surprise and excitement! Whilst the towel is great in this summer heat of Hong Kong, we also would recommend some Hong Kong Tourist Products. (See blog on gifting to Chinese for traditional gifts). Photo frames, chopsticks tool, Polyresin replica skyscape of HK etc.. all could be good cost effective alternatives.